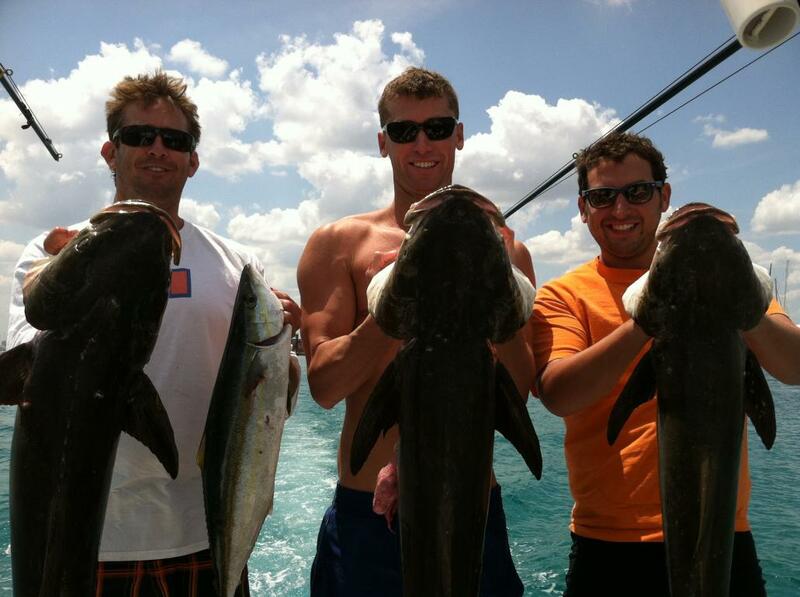 VIDEO - Cobia Limit 3 days this weekend! I've never made a gopro video before, but I got one over the holidays and its a lot of fun! Also, a friend let me borrow his mac to edit, and this is the first time I've ever used one in my life. No fancy transitions or title screens, but I like the way it turned out. Its a bit lengthy at over 8 minutes, but its so hard to delete good footage to shorten it up. We limited out. Shark Tales may look familiar to a lot of you. 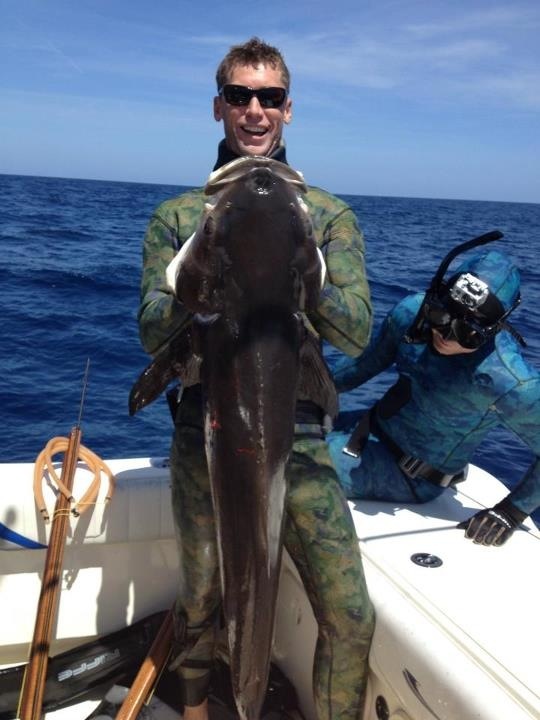 I was almost as stoked to drive that boat around as I was to shoot big fish The most noteworthy thing I'd like to say about that day of diving was that my SD card was full before I shot my fish and I took it off of a school of at least 100+ cobes following 1 shark... all 30+ pounders. It was the coolest thing I've ever seen diving. 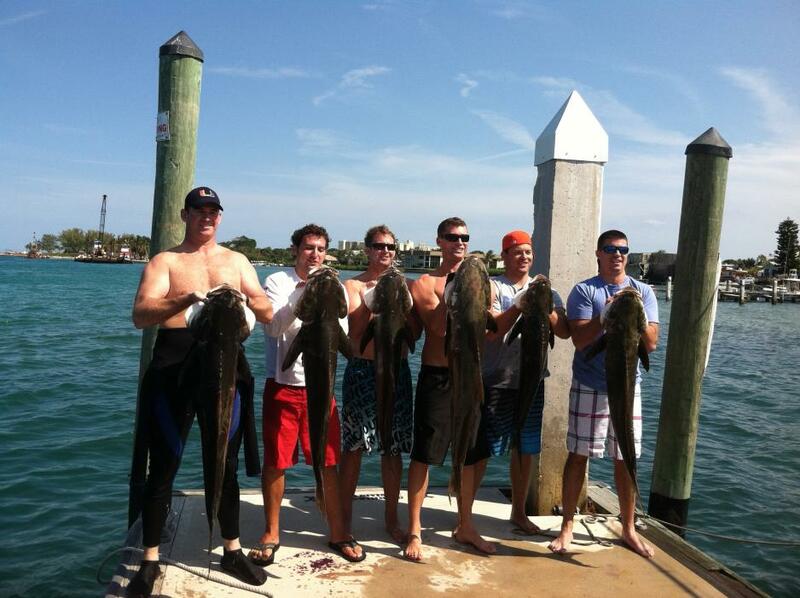 Kyle from fl freedivers said it best, "looked like a gigantic school of mullet swimming up from the bottom." Mike wore the gopro for a long dive through some Crevalle Jacks and it turned out rad! We limited out. 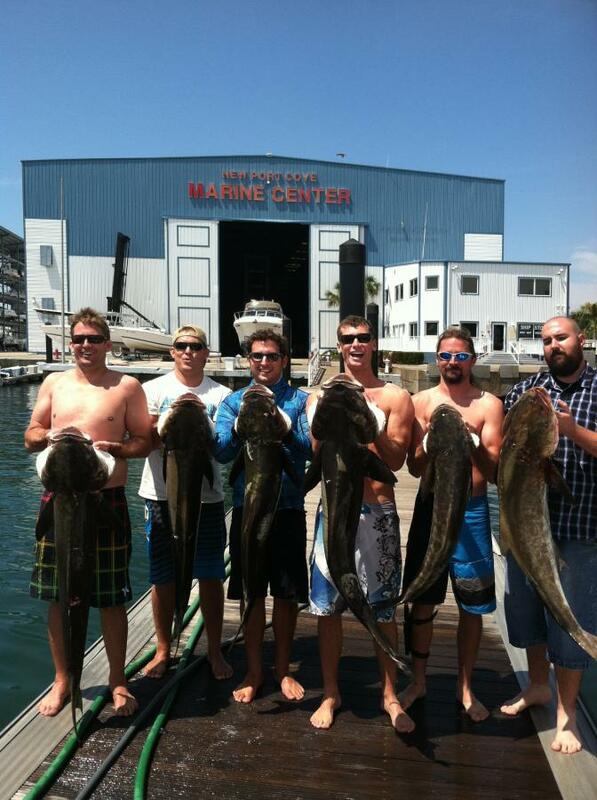 Lots of big fish, 4 over 40 lbs, biggest was 46. If you're wondering why travis and jason came up holding that riffe euro together, its because the reel broke on their previous fish. We limited out. Biggest fish goes to mike with a 55+ pounder. Our scale maxes out at 55lbs and it was maxed out! We had 2 leatherback sightings, neither turtle holding fish, and neither caught on camera. 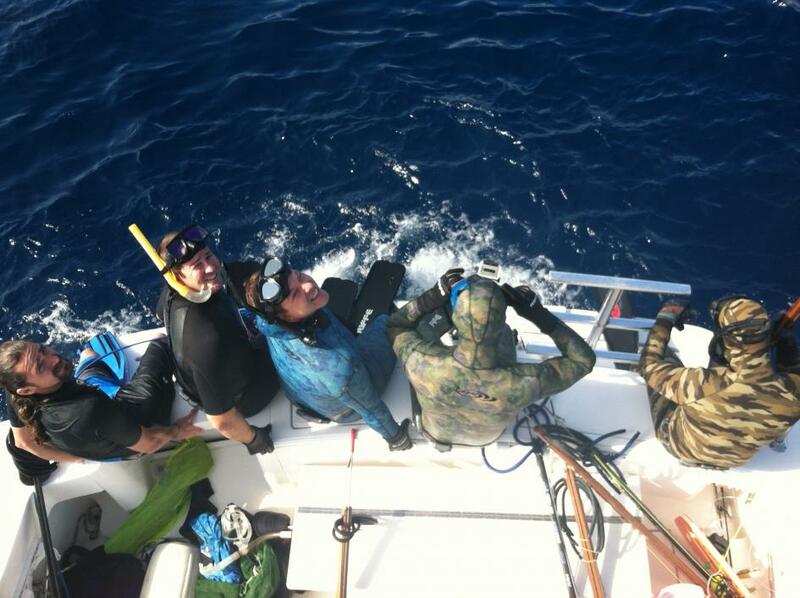 The best week of freediving our group of friends has ever had, such a blast! That is the coolest thing i have ever seen. congrats! Fantastic video! I was getting the creeps just watching those sharks swimming too close, the hammerhead that showed up was over the top! that looks like a blast! Sweet! Saw you post on SB... couple of haters there for sure! Which you will really get on any public forum,, Just make sure all your numbers add up! The Treasure Coast's Hometown Chiropractors ! Dr. Schoch, and Urgent Care Chiropractic....We've got your back 772-343-8511 ! **** those fish are dumb as hell. :signs Man... those sharks seemed a bit aggressive. Wow!!!! That is cool as hell!!!! "No matter the size of the fish, you can only put a bite size peice in your mouth." 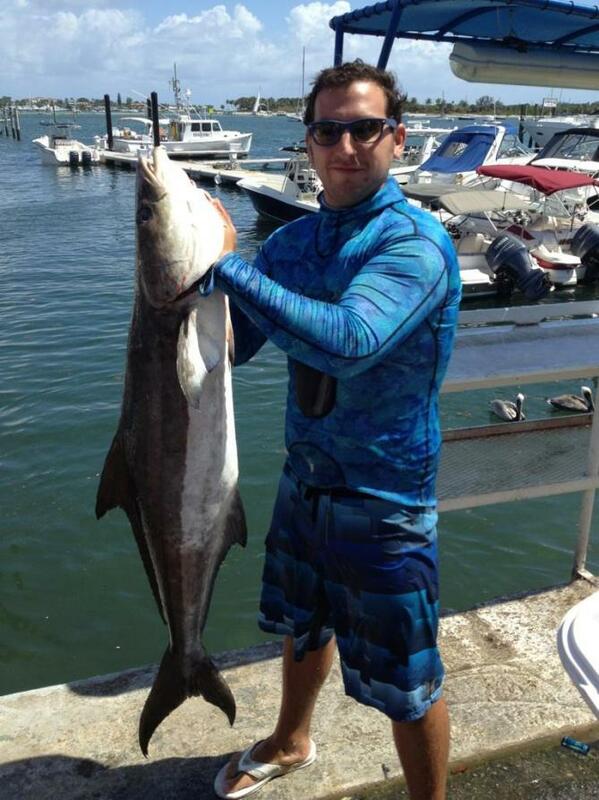 Serious Cobia crushing. 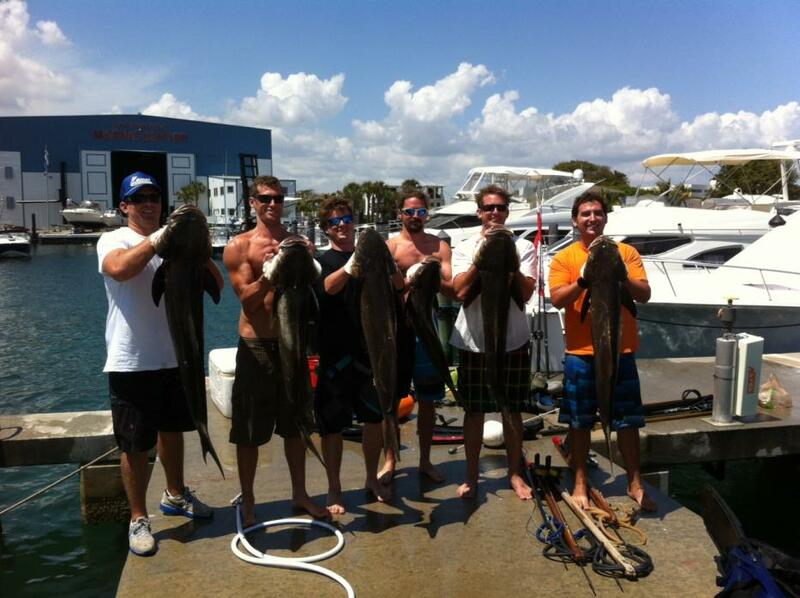 I think this is the best Cobia run in 10+ years! 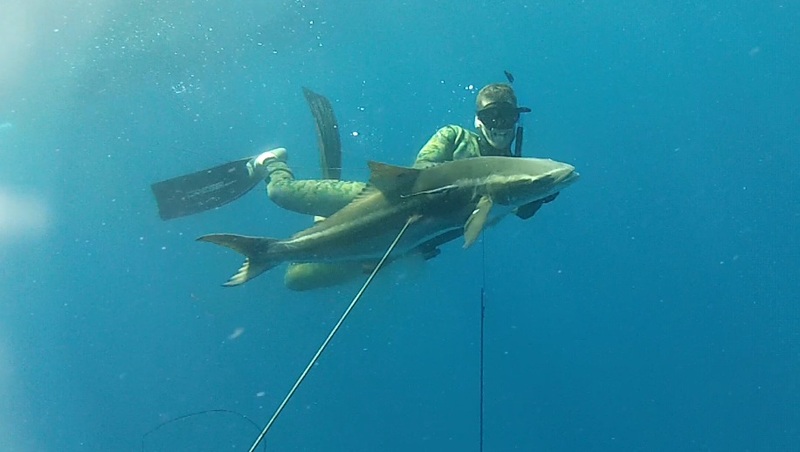 Sick Video man...loved watching the gopro go from shark, cobia, shark, cobia! Wasn't sure whether to hit the fish again or fend off the shark! Big Hammerhead at the end is pretty cool also! I gotta try that. Not sure my camera man will get in the water with the sharks though! Sounds like you need a substitue camera man for that adventure. Would be a great episode Capt. George! Capt George, we'd be happy to sub in for your camera man! We got a few more yesterday. Conditions were great, top to bottom vis in 110'! That may qualify as the best 8:20 of my day today. **** to say the least. How deep do you usually need to dive down to shoot the cobes and how deep are the flashers typically? If you'd prefer to PM me that would be fine. Thanks for sharing. Congrats!!! You guys are nuts!!! Nice fish though!!! Very cool to watch. Sick video! But you guys are crazy with them sharks. Nice work!